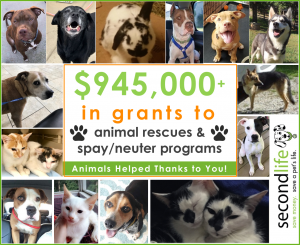 Thanks to your support, we have provided over $945,000 in grants to more than 60 animal rescues and spay/neuter programs since opening in 2011. Wow! This is because of YOU! You’ve given a second chance at happiness for homeless dogs and cats. Most of the abandoned pets you help save are pulled from high-kill shelters. Many are pit bulls and pit bull mixes, victims of over-breeding for profit and worse. Your support lets rescues save these beautiful souls. These pets cannot rescue themselves – it’s up to all of us to be their bridge to a better tomorrow. You’ve supplied lifesaving medical care. When rescues save the animals, they don’t often know what medical conditions they might have to treat. From vaccinations to spay or neuter, to emergency care and heartworm treatment, chances are they need extra care by the time they are rescued. These costs add up for rescues. Pets don’t have bank accounts. 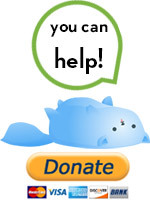 Your support of Second Life gets them back on their feet. 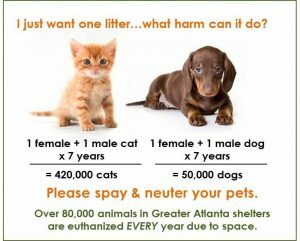 Spay & Neuter saves lives.Reducing the number of unwanted pets from being born is a big part of our focus – there are simply not enough homes. 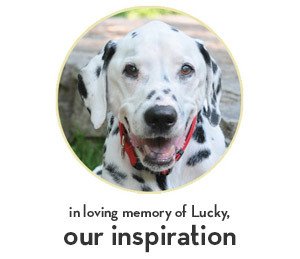 We know many families want to be responsible pet parents, but simply cannot afford the costs…and we are happy to help! To date, we have provided over $355,000 to groups specifically to spay & neuter family pets and for TNR programs (trap/neuter/return) of community cats. That’s about 4,200 animals who took the “no mommy” and “no daddy” pledge! You’ve given assistance to victims of domestic violence. Abusers are known to manipulate victims by threatening to hurt pets in the home if the victim leaves. Many who suffer from domestic violence will not leave their pets in danger and most shelters do not allow pets. 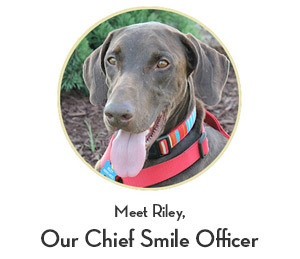 We support an organization that provides a safe option for the person and their pets to escape. Education matters. Better tomorrows always start with knowledge of how to make them better, for both humans and pets. 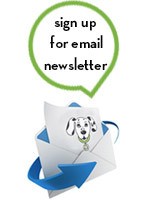 From pit bulls to pet overpopulation, from the human-animal bond to caring for a pet, our mission to educate starts with the basics and doesn’t end until there’s a better world for everyone.Keep your message brief, friendly, and to the point. If readers need to know more than you can fit here, add a link to an outside resource that covers the rest. Lastly, make sure the accompanying image matches the topic.